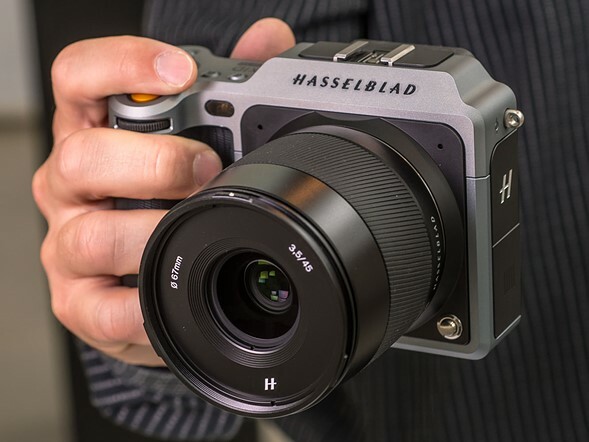 One of the most remarkable things about the Hasselblad X1D is its size. 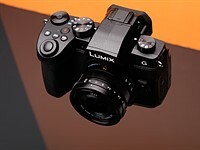 It is smaller than the average DSLR and only just as big as the larger Micro Four Thirds camera bodies – which is quite something for a medium format camera. 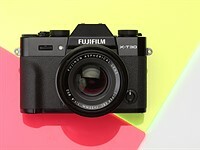 The general design is sleek and the echoes of Hasselblad's V system are clear in the square face around the lens mount. I think a big selling point of this camera is that it looks way different than DSLRs and mirrorless cameras. So photographers can distinguish themselves by carrying one. "...(courtesy of Sony though ...)..."
Well in the good old days it was courtesy of Kodak, Agfa, etc. Oh wait, everyone relied on Kodak etal. A walk-around, street photography, travel - medium format. Sounds GREAT. Wish it was all black.....black is beautiful! I like silver cameras but I think this camera would look better as black. I have no business reading about this camera, but wow. It sure is enticing. Not going to happen for me, but it gets me thinking that I might rent a medium format one day for experimenting. @BigOne I also love watercolor landscapes! The design reminds me of a Pentax K-01. The MF paradigm is shifting. This camera is the starting point. In my opinion. Hi ho Silver: Please elaborate. Going from FF 864sqmm to X1D 33x44 1452sqmm is 68% change; a modest increase. 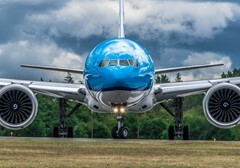 Going from Apsc at 329sqmm to 864 FF is a 262% increase. Going from FF 864sqmm to H's 500c camera at 3600sqmm is a 416% increase. It is this difference between FF and MF of the 500c variety that accounts for the so called 'MF Look". However, I welcome H's change to the SL E-flex. Mirrors and FP shutters have always been a kludge at best. I believe the X1d is already at the end of the road for smaller sensors that are call MF. You are mixing up definitions of percentage-based increases. 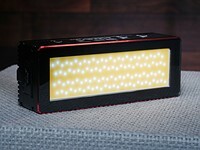 - The X1D has a sensor that is 1.68x larger than FF, or has 168% of the area of FF, or has a 68% larger surface. 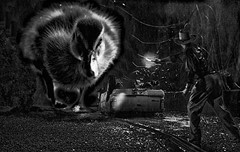 Noir: You have a slight error. Apsc is ~329sqmm. If as you say, 'FF has a sensor that is 2.33x larger than APS-C', then 329x2.33 would =864sqmm. But it doesn't; it's only 766.57. FF 24x36=864sqmm. @2joe: you cannot call a classic Hassy as "compact". More "compact" MF means you can use the camera in a variety of "new" situations. Imagine a "compact" MF for dynamic street photography (right now it sounds like using an elephant in the wrong way). And digital FF is also not always exactly 24 x 36 mm, its width varies between 35.8 and 36 mm, and the height between 23.8 and 24 mm and thus its area between 856 and 864 mm². A flip-out LCD would take care of that. Maybe on the X2D. This is stopping me from buying a Leica SL. I wonder why the EVF of the Hassie is of lesser grade than the SL. Looking forward to the test reviews. Well, this is a brave effort..! It is truly far braver than Canon or Nikon, considering they more likely to be cannibalizing their own market rather than eating into any one else's. It's like if Nikon had made a prograde FF mirrorless camera for half the price of the comparable DSLR, instead of trying not to pass off a 1in interchangeable lens as cutting edge mirrorless. 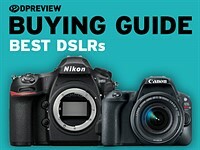 Canon and Nikon make up (BY FAR) the majority of the DSLR market share. They don't NEED to be brave - in fact, it would probably cost them dearly when their supporters and pros simply expect better and faster versions of their past cameras and that's it. Nikon and Canon will probably experiment with mirrorless and other technologies at the entry level, and work up from there depending on the interest level. Kinda like the touch screen on 5500, etc.. the prosumer and pro markets are just far too dangerous to mess with considering the total lack of demand from their current customer base. 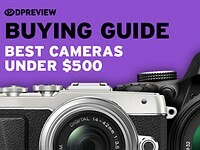 Their mid-range models feature consumers which are far more interested in the "latest and greatest" to show up their neighbors at the local soccer match or something, "oh hey Bob, is that the new mirrorless Nikon?" "yeah frank, damn.. I see you've still got that D7100 huh?" Then maybe you've got the official event photographer 20 feet away laughing with his D4 which is older than both. I have been thinking. The Hasselblad Xpan camera had 45mm 4.0 and a 90mm 4.0 lenses. Could the new 45mm 3.5 and 90mm 3.2 be the same lens designs ? They can't be. The flange distance is different. These are AF, cover different (probably smaller) image circles, have different apertures, and are central shutter lenses, rather lenses designed for focal plane lenses. They can be. The diagonal of Hasselblad X-Pan is 69.3mm and the diagonal of the X1D sensor is 54.8mm and therefore the lenses are f/3.2 and f/3.5 on the X1D instead of f/4.0 on the X-Pan. Of course the X1D lenses are in a different mount and they are AF and has internal leaf shutter and the aperture goes down to 32. But the optical design can very well be the same. I will be searching for the number of elements and I believe I will find that they are the same. The Hasselblad X-Pan system also had a 30mm f/5.6 aspherical lens. And lo and behold, dpreview writes "the company informally announced a 30mm that will be shown in September at Photokina, in Germany." I believe that it will be a 30mm aspherical lens with an aperture of circa f/4.6, because the f/5.6 translate to f/4.6 with the smaller diagonal of the sensor. I think optical design has progressed noticeably since the X-Pan lenses where developed. I also don't think that the X-Pan lenses will do particularly good on digital (the WA ones). Incorporating AF might also have lead to a different optical design. Overall, I would place a pretty high bet on them not being optically identical. The X-Pan lenses where designed for an image circle of 69.3mm. The diagonal of the X1D sensor is only 54.8mm. That will remove corner unsharpness and remove the vignetting that the 30mm X-Pan lens suffered from and digital processing will remove the rest. Delayed programming of this could be the reason why it is not shown yet. The cropping factor has no effect on the relative aperture (f/stop). The number derives from the focal length divided by the diameter of the entrance pupil, functions of the lens only. You have to admit that it is a striking coincidence that Hasselblad delivers the X1D camera system with 3 lenses with exactly the same focal length as the X-Pan system. Delivering lenses with equivalent focal lengths of 24, 35 and 70 mm does not strike me as something motivated by anything beyond the plain usual: They are commonly used (equivalent) focal length. Maybe 70 mm less so but that is probably due to the intention of keeping the lens still reasonably compact. But we will soon enough know when the full technical details of these lenses are available. However, whether you would then see me being right as merely having made a lucky guess or as having appropriately assessed the probability (by virtue of having identified what are the more relevant factors), is something that is beyond my ability. 45 and 90 are pretty typical medium format focal lengths. I own two 45mm lenses designed for medium format, neither Hasselblad. Coincidence is just that, coincidence. 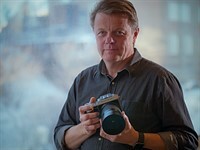 In the dpreview interview with Hasselblad Product Manager Ove Bengtson he says the following. 'The lenses are designed by us and manufactured by Nittoh who have made many great lenses in the past, including the lenses for the X-Pan. These XCD lenses have no crosstalk and the angle of the light as it approaches the sensor is well within the limits. You'll notice that the exit pupil of the wide angle particularly is set well inside the barrel.' And : 'Right now... we have no zooms on the roadmap'. In other words, the XCD lenses are closely related to the X-Pan lenses even though they may be more modern designs. That is called motivated reasoning. By all means apply it to your hopes. But it means nothing beyond a wish to believe something. F 2.8 would be nice. It would likely cost around $3,000 and weigh more than twice that of the camera. A 40-120/2.8 zoom covering a MF sensor? Haha. It would cost as much as this body and be effin HUGE. I think this body will only be useful with primes. It will be very useful with primes. If they make a zoom, it will be something like their current 50-110 or their current 35-90, and definitely not f/2.8. But then you couldn't mount it on your selfie stick. Now for a serious reply, your comment is ridiculous. Medium format's bread and butter is fashion and product photography with an elaborated strobe/lighting system, where one is usually shooting at base ISO and stopping down to f/8 or more. It has an amazing sync speed of 1/2000 (Canon 5DS R only has 1/200) so it will need a lot less flash power to overpower the sun and light the model outdoors. Fast zoom is not high on the priority list for this type of work. I use medium format (Phase One is my system) 90% for on-location industrial photography on the major construction sites on 4 continents, and architecture / interior design photography, 90% ambient light only. Some travel photography too. It`s totally wrong to associate medium format only with fashion or studio use. It`s being used on location in steel mills and stone pits as well. 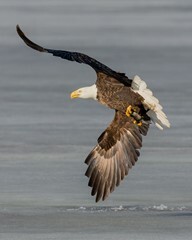 A zoom, preferably with a focal lenght of let`s say 35-90mm f4 is a must have for such a system for many photographers. I have used my old Mamiya 645 AF 55-110mm f4 zoom until it died 2 years back on assignment on a construction site in Iraq. 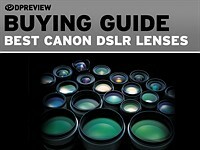 One of the most used lenses. 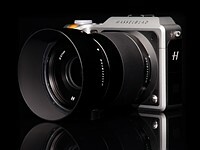 I would love to see Hasselblad introducing one or two zooms as well. @Marko2 - "Medium format's bread and butter is fashion and product photography with an elaborated strobe/lighting system"
I think that is mainly due to the fact that medium format cameras have historically been fairly large and bulky compared to their 35mm DSLR counterparts. But this X1D is now no larger than a FF DSLR (in fact, it's much slimmer). Here's a comparison of a Canon 5D MKIII, the Hassy X1D, and a Pentax 645D. As you can see, the X1D is very slim and compact compared to the other cameras. This camera is definitely a game-changer for medium format. I can definitely see this camera being used out of the studio, on location, traveling, much more than conventional medium format cameras. fotopizza, I was replying to a person who suggested that this camera is useless without a fast zoom. 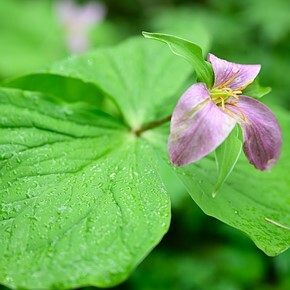 For the bulk of photography done with medium format fast zoom is not needed. 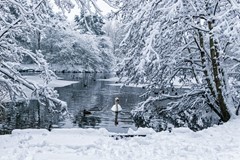 That includes not just fashion and product photography but also architecture and landscape photography. T3 has a point though that the small size of this camera lends itself to a more varied use for more people compared to a typical medium format camera. Marko2, I get your point, but even larger cams like the Phase One 645 DF+, the XF, or our Mamiya RZ 67 Pro IID we take into the field, for on location industrial, corporate image and advertising photography. Same goes for our technical view camera. The "old" Mamiya RZ 67 system also included zooms. I totally agree with you that fast primes are important- but, as you can see in the Phase One system, among the most popular lenses are the 2 leaf shutter Schneider zoom lenses... I found often enough Hassis to be very unreliable in terms of camera firmware causing camera freezes, and in unreliable tethered shooting- the 2 issues that cause Hassi users to switch to other systems, and the 2 issues that totally ruined a Hassi / studio lighting demo done by Swiss Hassi distributor a few weeks ago in Zurich. They had 3 H5 bodies for the demo, and none of them worked properly for the first half hour. I find the X1 very tempting though, and hope it displays non of these issues. It`s a nice option. I used to shoot on the street with a Hasselblad, and medium format (and square) were always my preferred format. My perfect camera is probably an Alpa with a digital back. This is for all practical purposes that camera more refined. As somebody said on Luminous-Landscape, “If you don't see that as a breakthrough, then pick up a Phase XF body with an IQ350 back and three LS lenses and take a nice long hike or walk around a city for the day.” Just take the camera on a walk. So, why would I buy a camera like this? Three things: It’s medium format and 50mp, so it has larger pixel sensors. It has 16 bit color depth. I’m sorry if color is not appreciated in photography. I look at my film images and am simply shocked by the color difference. 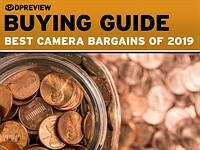 The camera is reasonably priced for what it delivers in the package size. I paid $500 for 20x24" Cibachrome paper in 1990. Seriously, this camera will be useful for a decade. I bet that I see a lot of these at weddings and environmental photo shoots. They say it's 16-bit colour but I'm fairly sure that the ADCs on that chip are 14-bit, so it's probably the same 14 bit data you'd get from most Raw files, mapped into a 16-bit space. Also, it's the sensor size, not the pixel size that will make the difference. I bet you never see one in real life. Who buys a $9k (body only) camera whose only advantage over a system camera from CaNikon or Sony is a marginally larger sensor - and everything else is far worse. This MF sensor will eventually find its way into a Sony product. Maybe a fixed lens (ala RX1) style camera selling in the $4k range. 14-bit mapped to 16 is correct. By the way, here is a good discussion of pixel size. I’m sure there are discussions about that here as well, but probably more related to the size of the sensor. My understanding is that pitch size matters, just as the grain difference between Plus-X and Tri-X for example would affect ISO. Look at the lenses - expensive and slow. Do you really want an f4.5 90 mm lens for $2600? and for MF users that isn't bad at all. If it is sharp wide open few people will complain. Remember that many 35mm lenses from the C and N companies are very soft wide open. So direct comparisons using the aperture alone are not valid. MF users often bring strobes, leds, etc - they control the scene like a movie director and things are lit. And if not, this Sony sensor has proven itself to do very well at higher ISO settings if needed. @Nicholalala You won't see "a lot of these at weddings" because few wedding photographers can afford them. Current DSLRs already provide phenomenal image quality for weddings at a much, much lower cost. I shoot weddings and would love to use Hasselblad, but the cost is prohibitive. 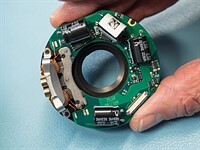 @brownie313 Why do you think this sensor will eventually find its way into a Sony product? Sony has been making medium format sensors for a while, but has yet to make a medium format camera. Maybe it's not in their plans. @brownie314- " Who buys a $9k (body only) camera whose only advantage over a system camera from CaNikon or Sony is a marginally larger sensor"
I think you lack perspective. A Hassy H5D-50c with the same medium format sensor currently sells for $14,500. It used to sell for $28,000. With the Hassy X1D-50c priced at only $9,000, this is a significant cost savings. Plus, Hassy's HC and HCD lenses can be used on the X1D via an adapter. So compared to Hassy's previous medium format offerings, the X1D is a bargain. Yes, and compared to a Bugatti - a Ferrari is also a bargain. But to get to work and back I don't need either. Look - if you MUST shoot MF - then great - this is a bargain and probably a good option if you can get the lenses you need. But I fail to see exactly who needs MF these days when you have cameras like the Nikon D5, D810 and Canon 5Dr (whatever the hell thing). With such good sensors and so many accessory options, I fail to see how spending $28,000 can really get you that much better images. ...its $14k total for this with 2 lenses. The other members of dpreview are eating you alive brownie314. Give it up. You can't justify your logic with the only valid argument being you claiming "I fail to see." The only thing you are correct about is....YES you fail to see. Don't buy it. Move on. Other consumers who DO see the value will buy it. OK. Great. Lets see how big the uptake is in the market. I have said all I am going to say about this. Nicholalala - at the risk of appearing to cherry-pick, the key thing is that in good light, small pixels are definitely better. And, in poor light with a modern sensor (which means making the slightly optimistic assumption of limited fixed pattern noise), then as long as your shots aren't long enough for thermal noise to start playing too much of a role, then there's little (if any) cost to having more pixels. Because of the gaps between different sensor sizes, it's usually safe to say that sensor size is more important than pixel size. And, although the full story is slightly more nuanced, in general you can say that pixel size doesn't make a huge difference. I think this is FAR too expensive for the type of photographer this camera will appeal to. If you shoot in the studio and need a MF sensor - you probably already have pro studio equipment and can switch out digital backs to get whatever you want. If you need to shoot on-site - well the camera is not the biggest piece of equipment you will carry out into the wild (reflectors, flash systems, stands, etc.). So I think this is aimed at the VERY well healed amateur. I don't know how many of those there are that can drop $9k and just get a body with no lenses. We will see. People will rent this in droves. Its asking price is reasonable and the lack of moving parts and build construction will make it exceptionally durable for the rental market. + the well healed amateures as you mentioned. Those 3 groups are enough to justify is price and existence. OK. We will see. It will be a fine rental unit for those who always wanted to try out MF. 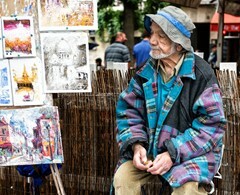 It will sell, very well, to both pro market and high end amateur market, I am very confident about this. Well-healed amateurs exist, as do well-healed pros. And pros always appreciate a smaller camera that delivers the same image quality as their big camera. Some pros just like to lighten their load when it's practical to do so. I hate this "you probably already have..." non-sense logic that idiots like to use. Yep, no one needs anything new because everyone who might want something "already has it". Yeah, makes total sense. Why in the world should any company produce any new products then? BTW, well-healed amateurs do exist. In fact, I think it's the well-healed amateurs who are buying most of the high-end products out there. Who do you think are buying most of the high-end aviator/pilot watches out there? It's not really professional aviators or pilots. It's well-healed non-pilots who keep these high-end watch manufacturers in business. And do you think that the only people buying Range Rovers are people who go off-road? Hahaha! Nope, it's well-healed non-off-roaders. Open your eyes. There are *plenty* of rich people in the world. Better to go after that market than the downward spiral of lower-end products the cater to very price-conscious consumers. I made a lot of money as a kid when a teacher told me to "price high and justify"
Hasselblad did just that. Fully justifiable the asking price. Jeeze, "well-healed" in every post. A weather-sealed camera will be attractive to any pro who does location fashion shoots, particularly on a beach with salt spray and blowing sand, or in the field for landscapes. The 1/2000 sync speed will be especially useful in balancing flash with ambient light, and/or using wide apertures to manage depth of field. Wedding photographers will appreciate the small size and weight. A conventional Hasselblad SLR pushes six pounds with a "normal" (typically 60 mm) lens. And yes, weddings in affluent communities are often shot in medium format, in whole or in part. 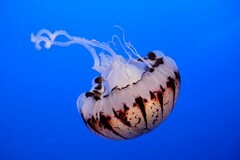 T3 - I am always amazed that there are idiots like you - who get on the internet and get so worked up about a CAMERA (!) that you feel the need to call someone else an idiot for simply expressing that he/she thinks there may not be a very strong market for this product (A effin CAMERA (!)). I never said it was a bad product - and you don't even own it - so please, take your medication, and come back and try again. I am not trying to insult your purchase decisions (even though you could not already own this particular product). @ T3, rhetorical tip: try not to refer to someone who expresses an opinion as an 'idiot' in the very first sentence. It is not nice, you would not do it in normal face to face interaction. @brownie314 - You're the one who's getting worked up over a camera. Just because you don't understand the point of medium format, or can't afford it, doesn't mean that there's no point to this camera. Open up your mind and eyes. Hassy's H5D-50c currently sells for $14,500. It used to sell for $28,000. The X1D-50c is only $9000. That is a *significant* savings. And you're getting all worked up over the X1D-50c being "FAR too expensive"? :) Get some perspective. I think there will definitely be a market for this camera, and future subsequent models. The Hassy H#D medium format system has been very successful over the years--- at *MUCH* greater cost. This new Hassy X#D system is much more affordable, much more compact and lighter, and it even accepts Hassy's existing HC and HCD medium format lenses. Like I said, open up your mind and eyes. Broaden your perspective. I see a lot of potential in this introduction. I wasn't the one who went to the "idiot card" first - it was you. I stayed on topic - the camera - and what I feel is a small and shrinking market. Go buy it if you feel like you must have a MF sensor or you business will go broke. I am not stopping you. And my comments will not make your images turn our worse - so why the heart burn? brownie314, what is your take on the Sony Alpha 7 R II in relation to the X1D? Would the 50 MP medium format sensor in the X1D really outshine the 42 MP full-frame sensor in the Sony? Or would the Sony's faster autofocus, higher ISO capability, 5-axis internal image stabilization and better range of lenses cause it to outperform the Hassie? Is there an inherent advantage to the larger medium format sensor besides the additional 8 megapixels that I'm not seeing, or do you think my hunch is correct that the Sony would be the better choice for most applications and users especially when price is considered? Interesring camera, I wish them well. I owned a lot of Hassie equipment at one time. Ultimately I found I was getting more photos I was happy with more easily with 35 mm equipment. yeah, not sure how much uptake this product will have. If you cruise the forums here you will see all kinds of people crying because they want a MF ILC - well here it is! But how many of those people will really drop $9k to get it (without a lens) - probably right around 0. A few pros may get one - I don't know. Unless the price comes down to near the $4k range - I don't see many people going down this path. And honestly you have to REALLY need that MF sensor to get a body like this. And if you do need it - why would you not just get professional studio equipment? I'm all set with 35mm equipment and don't need MF. But for pros who are used to spending $25K or more on Hasselblad bodies and $5K on Hasselblad lenses, this new camera system will seem like a fantastic bargain. It's a stunning, big price cut for them! To reply to brownie "why not just get pro studio..." Think of how many film landscape photographers hauled LF view cameras and MF. Their love was not for the weight and bulk but the results. I know. I hauled around a Wisner 5x7 and various MF equipment. Had there been comparable, lighter options I would have jumped on them. Hasselblad offering up this option over studio is a plus in helping reduce bulk. It seems similar to my Mamiya 7ll as far size which is more compact than my Nikons. You are probably correct that not many will be able to drop 9K any more than you see doing so for the Pentax but you will see some non photo pro yet career successful pros who can afford such items so I do imagine there will be a market for it. I've seen many businessmen in the field through the years boasting about their Leica and Hasselbalds. We might see the likes of Fuji stepping into this realm which could bring prices down. I'm thankful that technology has allowed me to let go of my old ways. I've been shooting M4/3's for a number of years and have always thought MF was the next logical step up. I charge more than most local FF shooters and still get plenty of work so I've never seen a need to carry one of those big heavy systems around, but this looks like it hits my sweet spot for size and capabilities. No, it wouldn't work for every job, but it should be able to pay for itself and that's all I expect as a hobbyist/weekend warrior. Whereas mirrorless offerings by Sony, Olympus, Fuji and Panasonic have failed to spur market titans Canon and Nikon into a serious mirrorless effort, I suspect that Hasselblad's new X1D may now give them pause. Whether or not Hasselblad's new offering will reach the iconic status among professionals as did their 500C----it does put more pressure on Nikon and Canon to innovate. 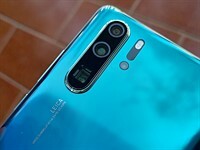 The camera history is replete with examples of leading companies who have failed to innovate and to meet the market demand. Zeiss-Ikon, Rollei, Voigtlander, Contessa, Konica and Minolta are iconic names that have disappeared from the camera business (Minolta of course was swallowed by Sony after they lost a patent infringement suit). Is 2016 the year that we see a different direction from Canon and Nikon? I doubt this camera will mean anything to CaNikon. Hassy may sell a few hundred of these (maybe). If you pay $9k for a camera from CaNikon you will have the best AF system, a very very good sensor and a lens selection that makes all other camera manufacturers turn green with envy. Not to mention, if you pay $9k, you will have a pro grade rugged body AND a pro grade rugged f/2.8 lens. I just don't see a MF sensor, in 2016, as a big differentiation. I suppose we should now all start to refer to FF cameras as "crop cameras"
Year - crop factor = 1. Year- those old crop factors will also need to be redefined. MF has nothing to be "full" by the 35mm format. FF itself is a concept only started in the digital age, it was just a relative concept to APS system, and will disappear after the MF is eventually heading down to the mass market. What king of pedigree does Nitto Koyagu have in making lenses of the standard that will be demanded by buyers of this system? Maybe it's cheaper than to produce in Sweden :) Or by Fuji. "Pedigree?" LOL. That's really old thinking. In the digital age of information and technology, knowledge is not some kind of genetic inheritance. There are probably a dozen or more companies in Japan, with names unknown to the wider world, who could easily make lenses to any practical quality standard for pictorial photography. Nittoh has been making high quality industrial and photographic lenses since the early 1950s. It's really just a matter of price -- if a company like Nittoh is given the price freedom, they can make any lens you want, at any practically achievable quality. It made the Hasselblad Xpan's 30mm lens. After this preview I feel that it's modern, stylish and fashion thing. Fun gear. Feelings don't describe the reality of a product or a situation. I happen to 'feel' that you're wrong about it not being a photo tool. I happen to 'know' that it takes photos with a great sensor and appears to be ready for prime time. Of course. But it looks like hipster camera. Which raises the question: what is a 'hipster camera'? Please describe one. And how does this one fit that image? I have absolutely no idea what "hipster" anything is. That seems to be the general put down these days. Hipster means something? Already explained in my first post. Read it one more time. "But I don't feel that it's photo tool." You have feelings for something that isn't available, you have never tried, and have no idea what it is capable of? You said (emphasis mine): "I _feel_ that it's modern, stylish and fashion thing." Again, your feelings make something hipster? If so, another person may _feel_ that another camera, which you _feel_ is a serious shooting device, is hipster. And again, you cannot define a product or an area by feelings. That this camera is obviously modern puts your feelings into question, as from what I gather, _hipster_ is a diminutive slur denoting the items quaint or anachronistic. Go to images after searching "hipster camera systems" and almost ALL of them are either film rangefinders or SLRs, and modern digital cameras that look like something from the past. Interestingly, the 'serious' Fujifilm X camera system is overwhelmingly represented in a search. Again, what about the X1D is 'hipster'? This is what I mean. Good lnk. How ridiculously vain and superficial you are to judge a tool simply by its looks. There's nothing wrong with incorporating some decent style into a camera (or any product, for that matter). Would you prefer that it looked like it looked like it was a Soviet-era artifact? Ultimately, a tool is only as good as the person using it. If you can't get past its looks, and ultimately can't use it in a manner that delivers good results because you can't get past its looks, then that's on you! Don't blame the camera for you own mental/prejudicial shortcomings. It seems to me it's so ridiculously to write so long and empty discourse to argue word HIPSTER :) You can hold any opinion about it. I see expensive stylish and expensive toy. You see photo tool. The world is different. The point of this is that the world does NOT share your opinion of what [a hipster camera] is. Now, if by the pejorative _hipster_ you meant _expensive_ or unfair, the definition depends upon a person's exchequer, any argument is mooted upon how much you've got in it, and how much you're willing to part with. But you can't just bandy about a word willy nilly and expect people to 'get' what you mean. This camera is decidedly modern, and expensive, two things that typically don't fit 'hipster' irony or moral superiority. In fact, if I read the marketing material right, this camera was made in Sweden, very probably by a white person; in other words, by dint of its origin, it neatly (and fantastically) falls under the progressive definition of 'racist'. It is not a hipster camera. It is a serious tool designed not for tools (progressives or hipsters), but for working pros with the dosh for it, and for serious amateurs. It's interesting and logical move in the mirrorless photo world, but it is not mass camera. Rather limited and niche product. Just to talk at forums. Medium format (even with 44*33 mm sensor) mirrorless camera for 3500 USD could be real revolution. Maybe Pentax make it? But I doubt...It's simplier to launch 100 MP "FF MF" camera in classical form for the same 9000 USD. Time will answer. Anyway, smaller is not better. 645Z is very comfortable machine with good ergonomics. Bigger? Much bigger. But hard to say if X1D is good for any arm or not. Smaller is not always better, but my DSLRs are big enough. As good as the 645Z is, it is too large for me personally, while this Hasselblad is "perfect-sized". The big compromise in this Hasselblad is that it has no optical viewfinder. Even if I had the money for this Hasselblad, I'm not sure I'd want to give up the optical viewfinder. Rent it. It will be available online for rental this summer. I dont think they rent kidneys. If they did, I wonder how the kidney repossession process would work. Very impressive how small they managed to design this camera! I wonder if they haven't done a bit too much though, especially on the mount design as it makes it super close to the sensor... but hey, with leaf-shutter lenses and all these nice ideas, I won't complain! The closer, the merrier. A shorter flange distance adds no constraint on lenses to be less telecentric. It adds the option to be less telecentric but not a requirement. but doesn't it create a narrower angle for the light hitting the sides of the frame? If you put an H series (DSLR) lens and put it via an adaptor on the X1D, the angle of incidence won't be any different than on a H6D. You have just replaced the mirrorbox with an empty tube. When designing native lenses, you naturally wouldn't just take an H series lens and weld an empty tube to it, you wouldn't get a more compact system if you did so. 1) A shorter lens and a shorter distance between the last lens element and the image does not have to mean that the lens is less telecentric and has steep angles of incidence. In fact, if you can put the last lens element very close to the sensor (in fixed lens cameras like the Ricoh GR or Sony RX1 that distance is less than 10 millimetre) that last element can actually help in make the lens more telecentric. A symmetric WA lens has to have lens elements close to the image plane and is the opposite of telecentric. If a larger distance between the last lens element and the image plane is has be achieved, a retrofocus design is required which will be more telecentric. But the opposite isn't true, ie, a WA lens doesn't have to be symmetric to (a) have lens elements close to the image plane and (b) be shorter than a retrofocus lens that has to clear a mirror box. Retrofocus lenses allow for a larger distance between lens and image plane, but they don't require it. And you can design a retrofocus (WA) lens that is shorter than a classical retrofocus SLR design (when allowing a shorter distance between lens and image plane) but still relatively telecentric. It won't be as short as a symmetric design but still shorter than an SLR lens. 2) Equally important is that if a very short flange distance allows you to have very short lenses, it doesn't force you to do so. The price of this can with so far two lenses is a bargain in contrast to what we have in "medium" format. Keep your Hassi lenses. You can mount them (via adapter) to the X1D. The mount of the X1D is the same, there is only a different distance required, as the X1D body is smaller. Does it also have a focal plane shutter, or only in lens leaf shutter? Thanks....well....so no adapted lens...too bad!!!! Indeed, that is a shame. Assuming they appear, shuttered adapters will be $$$. I don't think that an old Mamiya lens will have enough optical resolution for a modern 50 Megapixel sensor. Is it just me, or are this lenses very ugly - so much plastic around a pice of glass? Looks cheap and clunky in comparison with the well shaped camera. These lenses come in a full metal housing. I had in in my hands and they are far beyond being cheap. Also the lens specs and thest from Hasselblad show, that these lenses are at the top edge of all lenses worldwide. Just you. Looks exquisitely beautiful to me. Naja - just the he picture. there is just not detail or anything - just very blunt. It might not just be you. Every post is the expression of INDIVIDUAL opinion. Those telling you it's just you haven't checked with everyone else. This post makes me shutter with fear. Not only a Hassel forum, but a digital Medium Format one. So we can all express love for Phase One, Leica and Pentax MF systems as well. And of couse, be overwhelmed by the gorgeous images shot with those humongous sensors. How in the world, in 2016, is there not a Medium Format forum on a digital photography site as comprehensive as DPreview? Might need a Hasselblad forum. 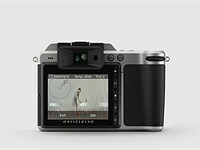 . .
Who here would like to see a digital Hasselblad XPan or any brand Pano camera. 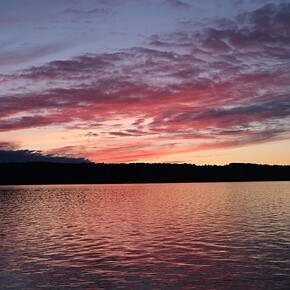 The X1D allows you to use the full sensor, square oder panoramic crop. XPan and Pano cameras were a necessity in the analog era. But even then, it was very much a niche product. 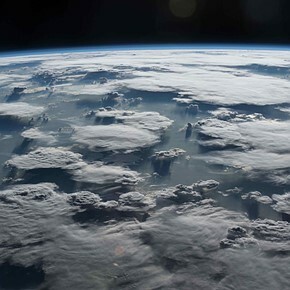 In the digital age, the very high resolution sensors that are available now, combined with image stitching, make things like an XPan less necessary. I think a pano crop or pano stitching from today's sensors compares quite well to images from XPan's of the past. So I think a digital pano camera would be even more of a niche than it was in the analog era, and it'd be a lot more expensive, too. I cant seem to find any extensive information and good pictures of the lenses. Full frame is so yesterday. I mean how could you even take a serious shot with APS-C or 4/3's right? Today, it's not that FF is so "yesterday", but rather society at large is closer to being able to acquire the full breadth of photographic quality and negative (sensor) size. I'd rather shoot a 4x5-"like" size sensor for portraits over my FF cameras or even medium format for portraiture, landscapes or macro photography. FF (35mm) is not the epitome of photographic quality; it's not even the preference (price independent) for many photographers... and that's the point. Rather a more sensible view on sensor size. Back in the film days we had lots of "sensor" sizes. That we had 8x10 inch did not at al cannibalize on the sales of 35 mm cameras. Now, digital sensors ar so much better than film, so maybe we do not need 8x10 inch, but 9x12 cm does not sound unreasonable whenever such a sensor can be made for a non astronomic cost. 9x12cm would be one sensor chip on an oversized wafer, so "not astronomical" is "not happening", at least not anytime soon. A scanning back wouldn't be out of the question, but they are limited in a lot of ways (sort of like a focal plane shutter on a press camera at high speed). Synthetic large format images from multiple simultaneous smaller-format captures look intriguing, though, except I can't help thinking that parallax would be a major issue except in landscapes and such where the closest details are hundreds of focal lengths distant. @Stan. Yes, it might never happen. And I did not claim it would happen. I just said that 9x12 cm is not unreasonable IF it can be made at a reasonable cost. But ... you shall not count it out. Making wafers is an industrial process. Eventually someone might find out how to make a substrate for $10 and someone else how to process it (with a high yield) for $100. Then, that's a breakthrough, and we will see 9x12 cameras again. Yeah, Sweden is the only country using axes and files to make cameras. Sweden will release a "beaten by Belgium" edition. What would it made of or called if it were made in the UK? Or does it matter because it would most likely fall apart and be worthless after a few years. @jay: Yeah, just like those crappy Rolls-Royces, and Bentleys. Yeah, like almost every F1 car which is basically built along the M4 corridor. But they're low-tech consumer products, huh? There are a few Spitfires and Hurricanes flying too. Jaygeephoto: "What would it made of or called if it were made in the UK? Or does it matter because it would most likely fall apart and be worthless after a few years." I will stick with my X1, can't afford the D.
bottom line hassy is an expensive system. 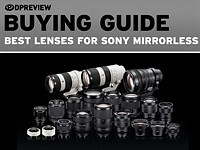 One mediocre lens over $2K? $2k is relatively cheap. There are also more than a few lenses costing $2k or more that aren't stellar from Nikon, Canon, Zeiss, et al, as if that's something new from a manufacturer. This Hasselblad + lenses is cheaper than the Pentax 645Z + 90mm and 28-45mm. Many who shoot MF do so with one lens, so $9k + $2+ for a digital medium format, 50mp, CMOS kit isn't exactly "pricey". This is as wonderfully beautiful as their Sony rebadge cameras were BAD. Well done Hassy! Who are the 14 people under "I had it"? Where did they GET them? It is always so. If you ask who want to go to Mars, and as one alternative have, I have already been there, then you will get a number of that answer. Some thinks it is fun and some simply believe it to be so. For those of us who are 'temporally flexible', this camera is old news. Are you sure, that your existing MF lenses have an image circle, which is big enough to cover the MF sensor? Impressive packaging with the twin SD card slots, if this body can do it, any small mirrorless body can. The Fuji X-Pro2 already did. My camera is handmade in The Philippines. I'll be definitely renting this for a few days when it becomes available. Wondering though how the touch screen will react to gloved fingers. This is ugly, even my old 500C/M looks much better! I guess it depends upon whether you take pictures OF cameras or you take pictures WITH cameras. Kind of hard to compare _any_ camera to the beauty of the 500. The confusion of not using full names? On Luminous Landscape, I got similarly confused and discovered they meant focal plane shutter. If that's the case, no, it doesn't have one, which is actually a strength in terms of getting a steady image out of such a small body. Ahh... whoosh. :) Good call, @deep7. Firmware version 1.22 adds improved support for a number of lenses and improved functionality and customizable settings within the camera itself. 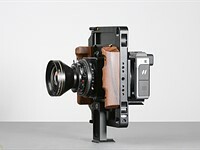 Alpa's latest adapter makes it possible to mount Alpa and Rodenstock lenses onto Hasselblad's 50-megapixel medium format X1D camera. DPR was lucky enough to be invited to tour the Hasselblad factory in Sweden to see the H6D and X1D medium format cameras in production. Hasselblad has released new firmware for its X1D mirrorless medium format camera that brings it as close to a digital X-Pan as we can sensibly hope for.